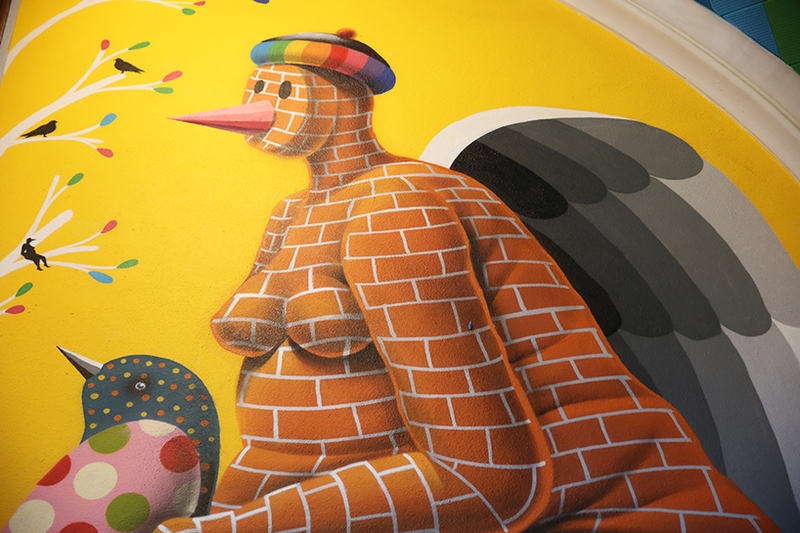 okuda san miguel is a madrid-based multidisciplinary artist whose unique iconographic language blends multicolored geometries with organic shapes, human figures, headless animals, symbols and motifs. 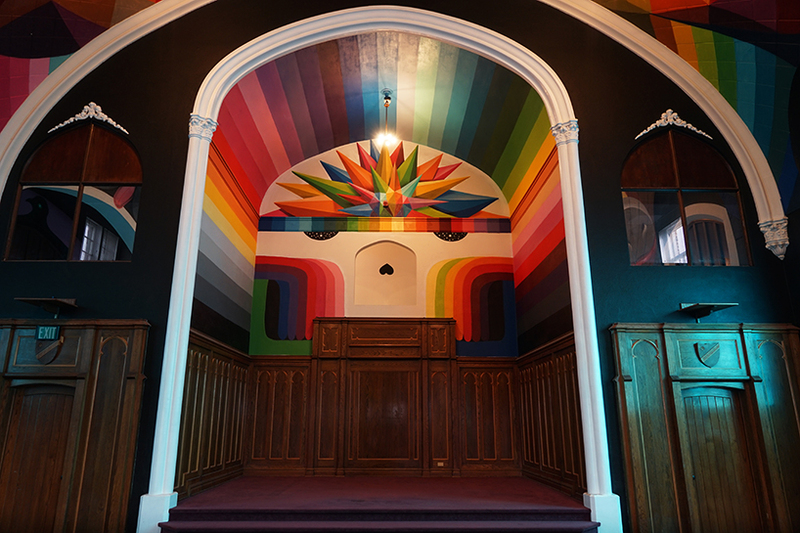 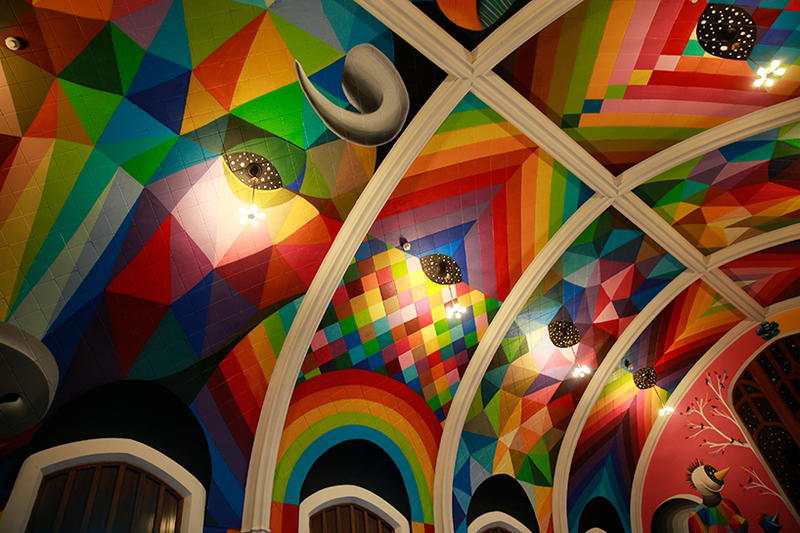 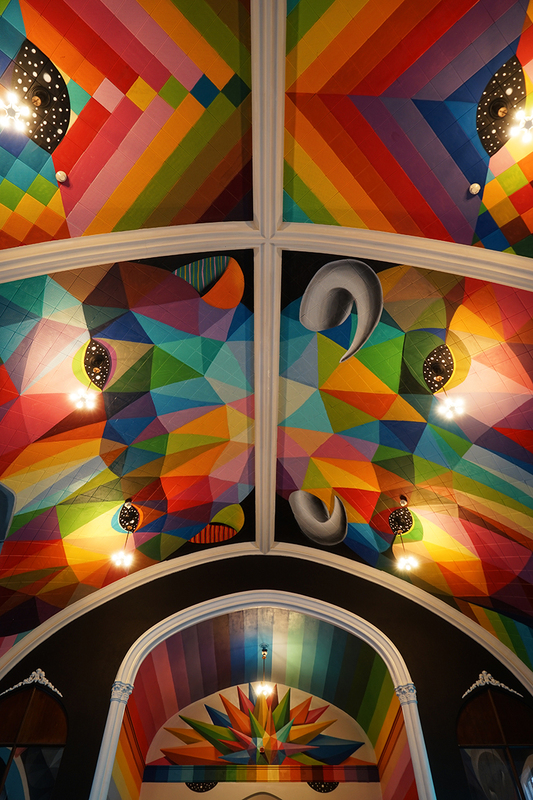 within the more than 100-year-old building, artist okuda san miguel has painted a prismatic mural on the ceiling depicting various animals, mythological figures, and motifs found throughout the natural world. 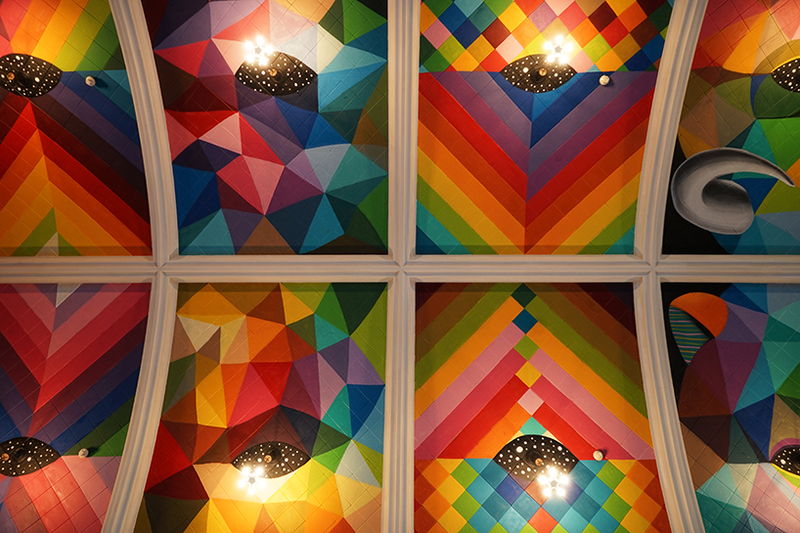 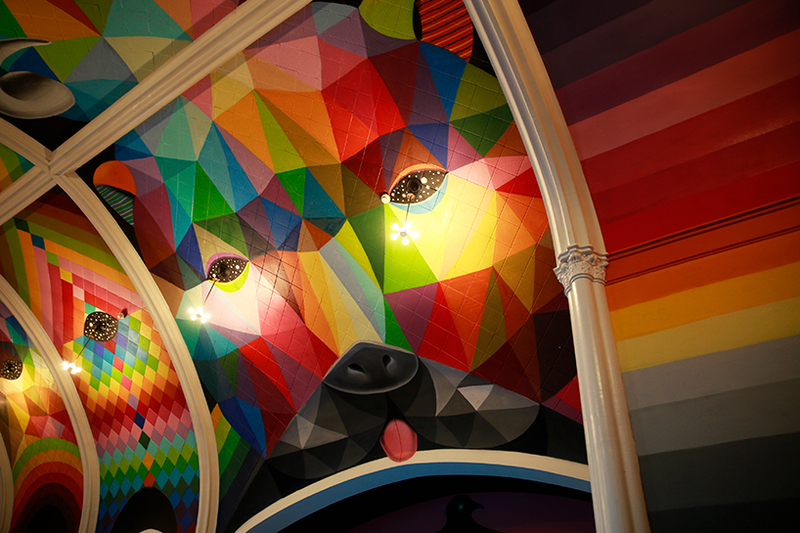 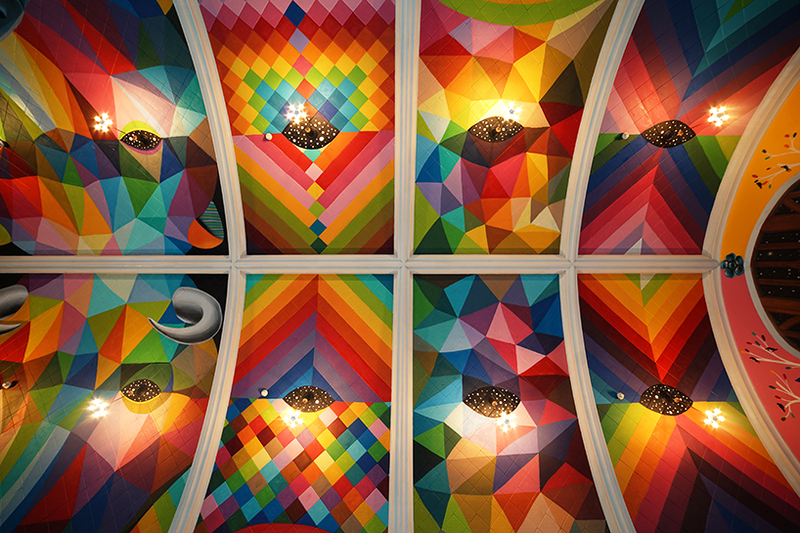 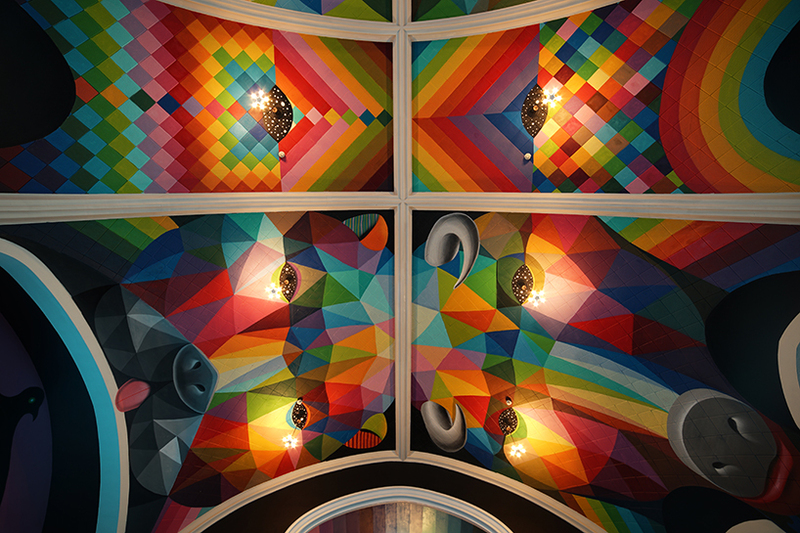 on the ceiling, okuda — drawing from his continued use of highly pigmented color and saturated shapes — has painted a dramatic display of geometrically configured animal faces, such as bulls and bears. 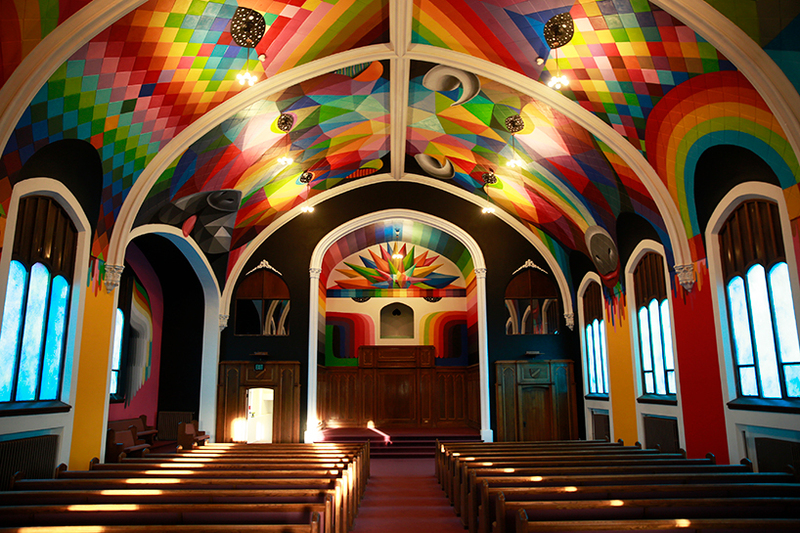 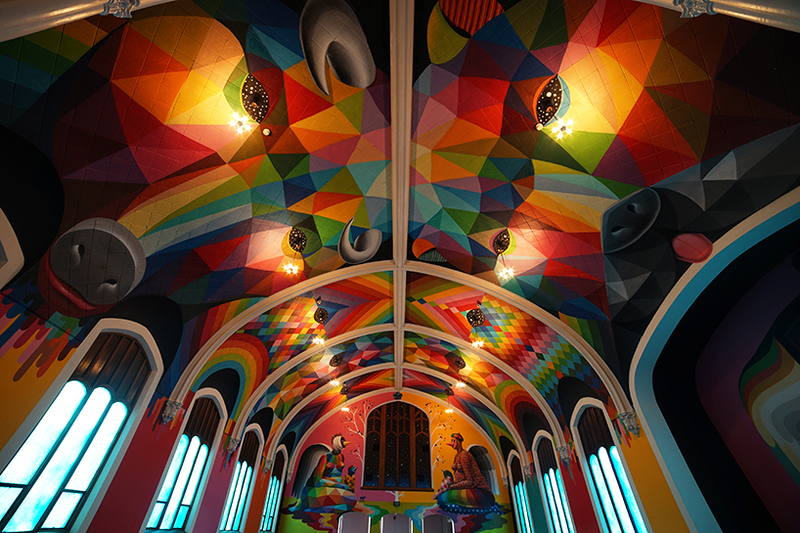 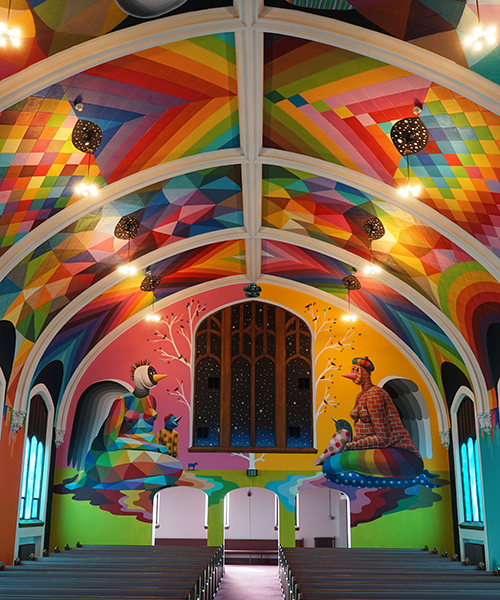 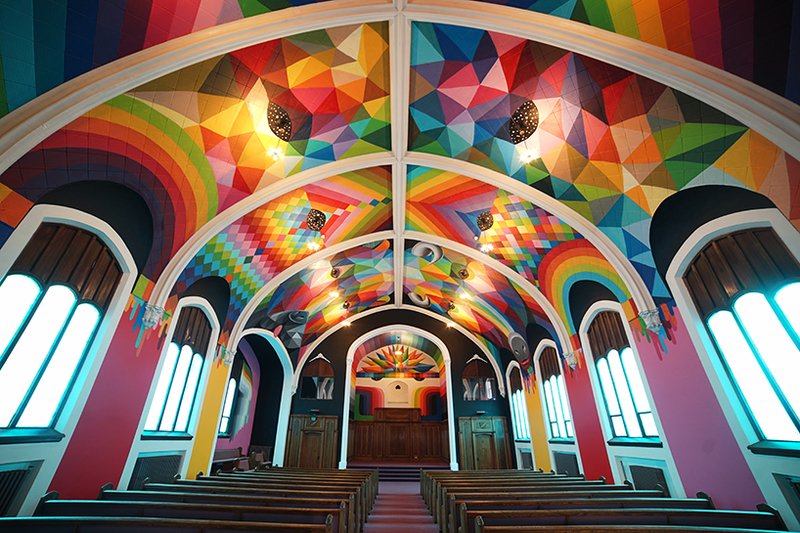 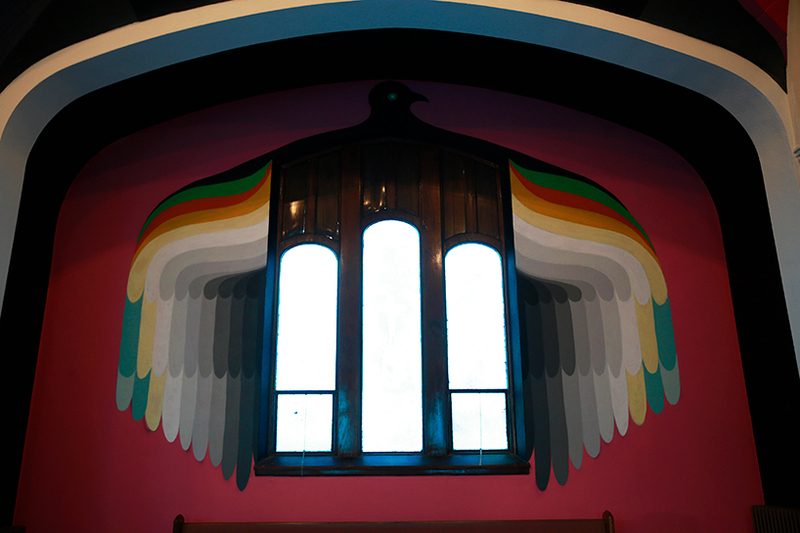 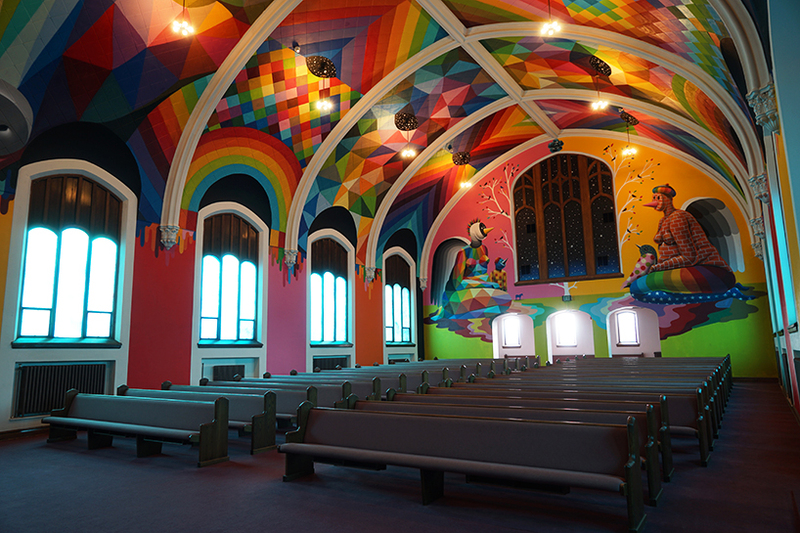 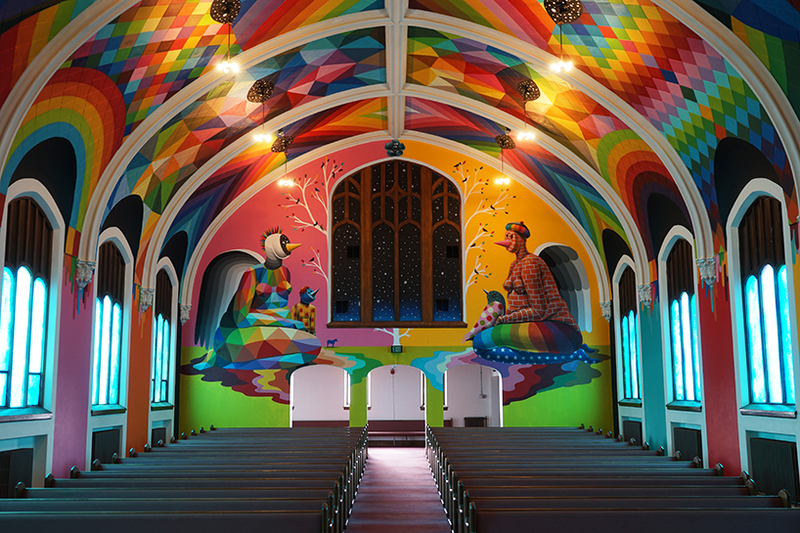 the church’s rear wall, where visitors enter the space, is canvassed with two larger-than-life sized figures — one depicting a brick-like body, and the other bathed in colorful triangles. 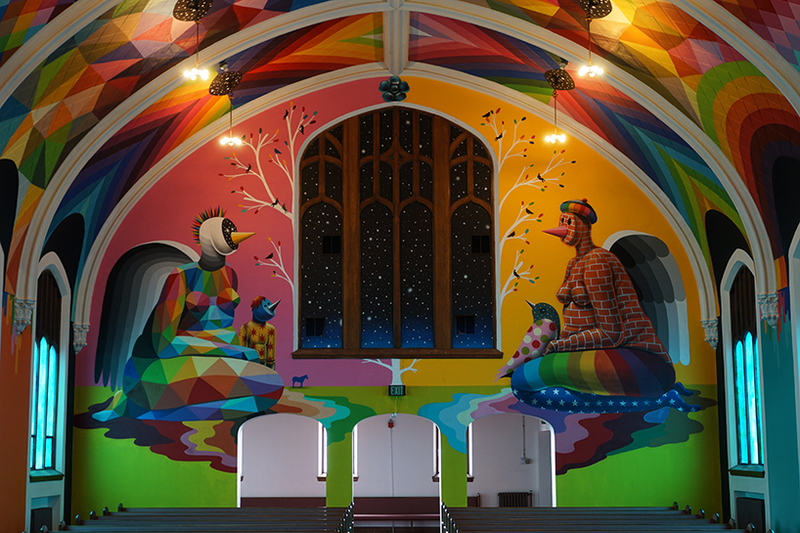 the dreamlike nature of these fantastical characters has been designed to suit the spiritual and surreal quality of this unique institution.